So Come Here , Now I Tell You How You Can Earn More Money From Internet By Using Social Network. Everyone Is Also Now Best About How You Can Use Any Social Network Like Facebook , Twitter Or Google+ etc. If You Now How You Can Use Facebook Then You Can Also Use That Network Which I Am Going To Tell You. This Is a World Trusted And Best Social Network King. What Is Empowr ? Empowr Is a Kind Of Social Network Like Facebook , Twitter or Google+ etc. Use Of This Social Network ( Empowr ) Is Very Simple And Like Same Facebook. But Here You Can Not Only Make Yourself Like a Social Men / Women But Also You Can Earn Cash. Empowr Is a World Famous Site And A Large Number Of Marketers Also Working On This Site. Mean`s Every Thing Which You Do On Facebook Just Same You Do All These Activities On This Social Network. Empowr Makes Money Through Transaction Fees Between The Marketplace, Advertising, And Subscription Services. 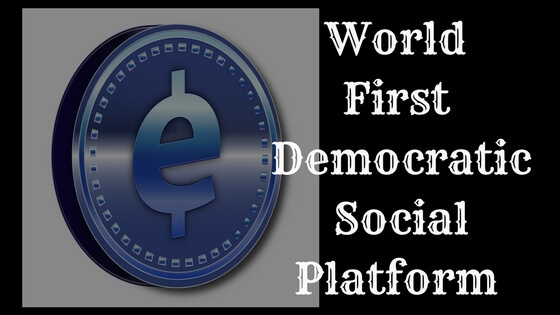 Empowr Citizens Earn From Posting Content, Selling And Promoting Products And Services In The Marketplace, Or By Teaching Other Empowr Citizens How To Be Successful On The Platform. Empowr Mission: To Empower People By Enabling Opportunity, Hope And Influence. Empowr Goal: To Help Half The Planet (4 Billion People) Earn An Average Of $25 Per Day By The Year 2025. Every Work You Do First Time , You Getting Success Slowly But You Get Success . In Empowr First Time You Can Do Every Activity Limited But With The Passes Of Time You Increase Your Power Goal On Empowr. When You Increase Your Power Level On Impowr , You Will Getting More Profit And More Trusted Relation With People`s.